Paying airfare for community development facilitators to train local leaders in Madagascar. Providing a salary supplement for a national community development coordinator in Kenya. Translating a community training manual into French. These are just a few of the practical and savvy ways the Lois Ooms Community Health Stewards Fund is being used to transform communities around the world. Both the focus and creativity of distributions are inspired by the Stewards Fund’s namesake, Lois Ooms. 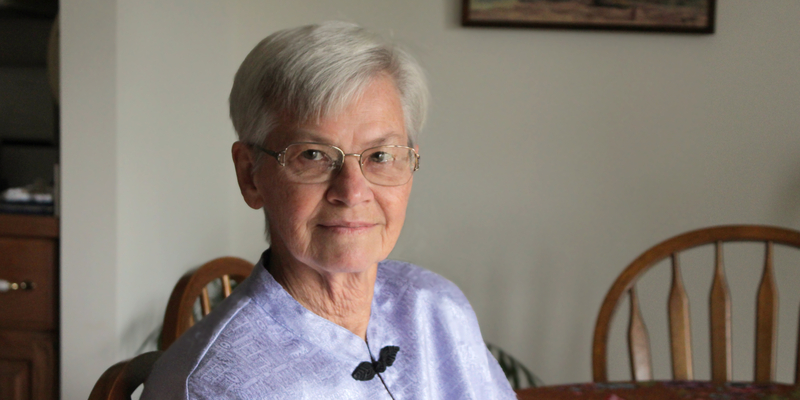 As a young missionary, she was sent to Kenya in 1969 to teach in a local high school. In the mid-80’s, she began leading community health initiatives. Soon Lois began getting more requests from different villages, “Come teach us.” She led trainings all over Kenya, and by the mid-90’s had a program and local leaders in place to facilitate community health trainings on their own. Meanwhile, Lois was being invited to other African countries as a trainer, even after returning stateside. However, the rigors of international travel combined with the prospects of placing nationals to lead trainings caused her to retire in 2015. Lois’ desire was to establish a sustainable local program that would exceed her personal limitations. “There were capable national leaders in place who were well-trained and enthusiastic,” she explains. Since then, multiple donors who share the same vision for empowerment have faithfully donated to the Stewards Fund. In addition to Kenya, initiatives to promote community development have been supported through this Stewards Fund in Madagascar, South Sudan, Congo, Uganda, Tanzania, Rwanda and Chad. Lois sees all kinds of possibilities for others who, like her, dream big about ministry making a difference.